Hey guys! Hope you're having a good weekend. 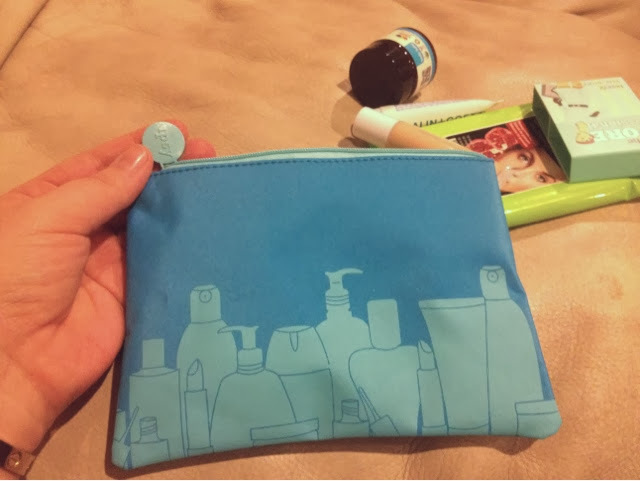 I thought I would share with you what I got this month in my Birchbox and Ipsy Glam Bag. They were both so good! We will start with Birchbox. 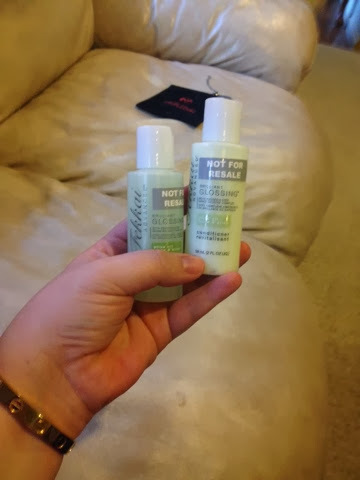 I got a deluxe size sample of Fekkai Glossing shampoo and conditioner. I have always enjoyed Fekkai products, and these bottles are perfect for travel. I like getting samples in bottles like this as opposed to the little packets. 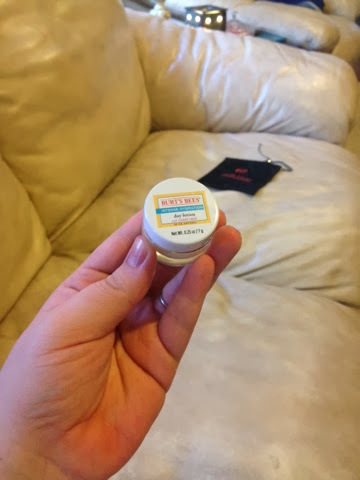 A jar of Burt's Bees Day Lotion. I <3 Burt's Bees! I have had this little jar sitting on the coffee table in the living room. I slather it on while we are watching tv. Feels so nice! 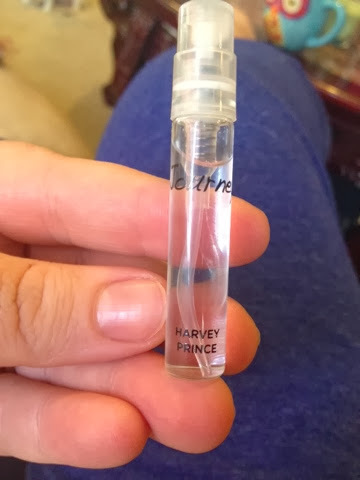 A sample of Harvey Prince Journey perfume. I tossed this in my perfume sample drawer. Again, something I love for travel. This smells pretty nice, not my all-time fave, but definitely something I'd toss in my travel bag and use on a trip. 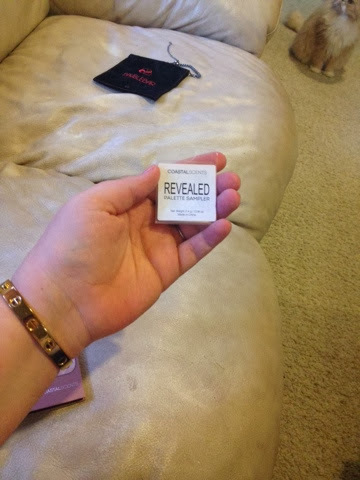 And my favorite, a sample of Coastal Scents Revealed Palette! 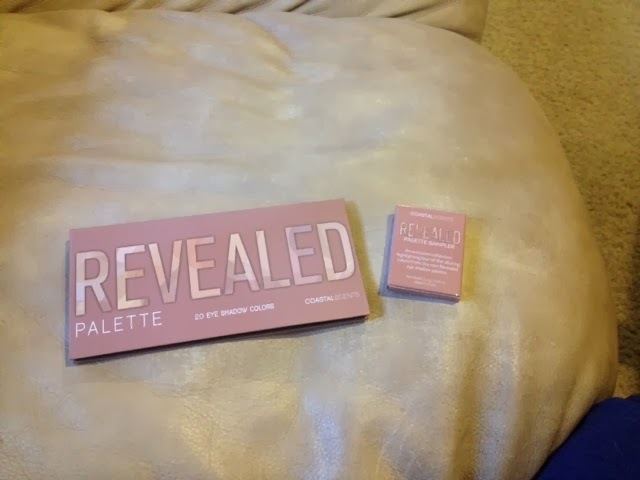 I lovveeee this palette, so I was so excited to get this. 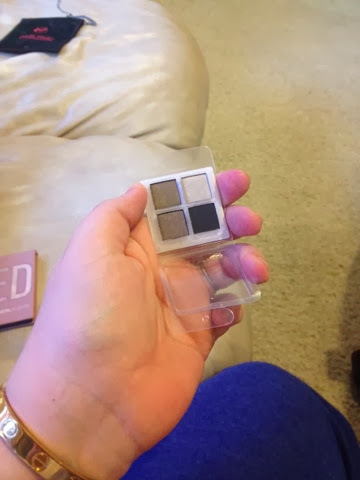 Basically what you get is this little quad of eyeshadows from the palette. Love this!!! I was really surprised to see something like this in Birchbox. I was really pleased this month. Next, my glam bag from Ipsy. I thought the makeup bag was cute. It's made well and has a cute 'Ipsy' zipper pull. I thought the bag would be cheaply made, but it really isn't! 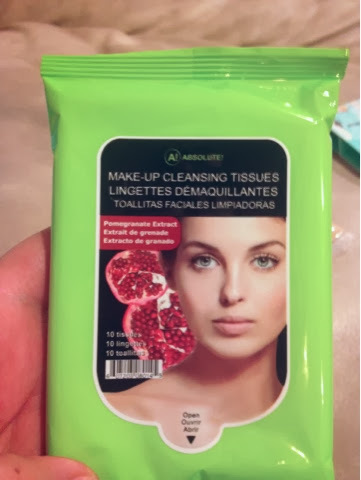 First thing in the bag were these Pomegranite makeup remover wipes. 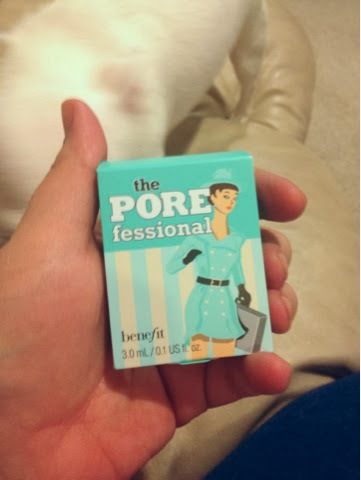 I ALWAYS use makeup wipes, so these will not go to waste. I'm using Michael Todd ones right now, but as soon as they are gone I plan on trying these. 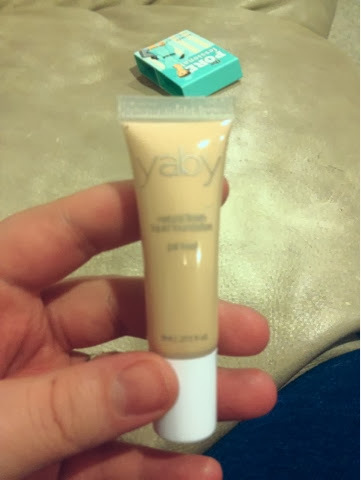 A foundation I have never heard of, 'Yaby'. It is in the color buff, which may be a little light for me, but should be a close enough match. I'll definitely give it a try! 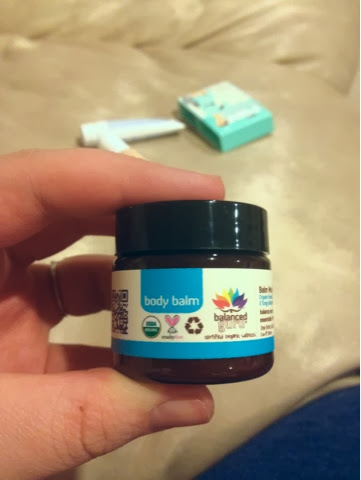 Some body balm that feels ah-mazing! I will use this up in no time. 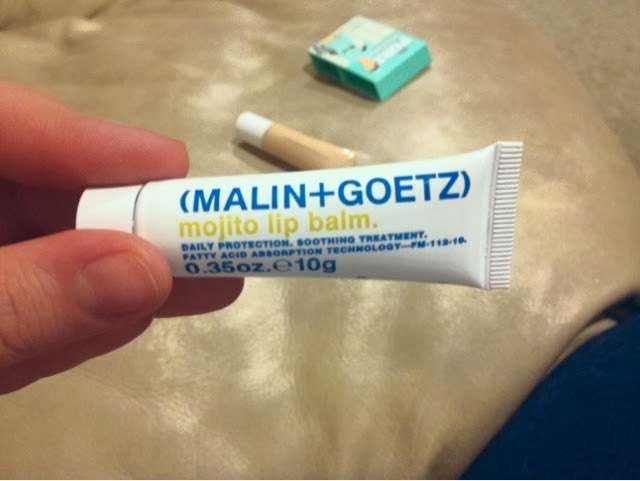 Mojito lip balm! Feels great and smells nice too. 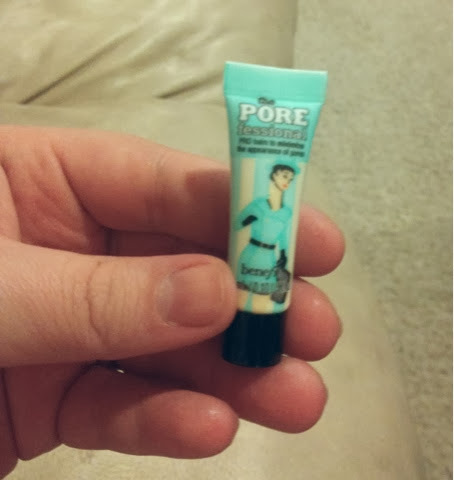 And lastly, an oldie but goodie, Benefits the Pore fessional. 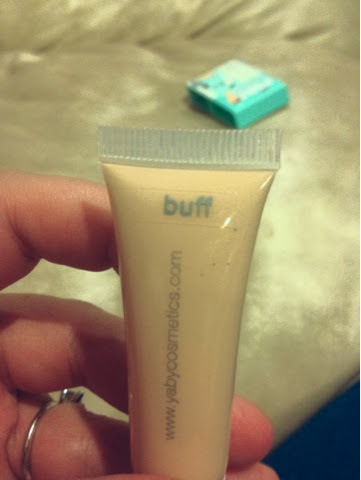 Love this primer, always good to have some more of it! Alright guys, that's it! Lemme know what goodies you got. I'm really happy with both of my subscription services this month. I can barely hold my eyes open, so I am heading off to bed. I have lots more planned to blog: new makeup and hauls. It's just been a tough week with my sick granny and her surgery this week (mastectomy). But God is good and is healing her as we speak. 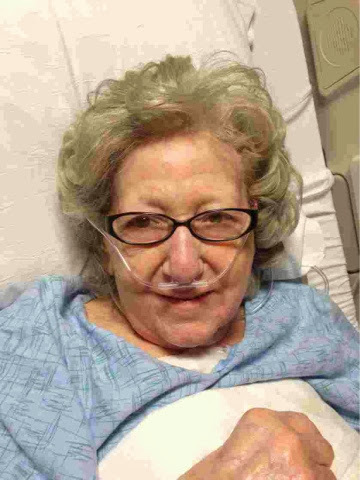 Please say a prayer for her frail body to be strong again soon. Here she is right after her surgery yesterday. Smilin and a talkin. That's my gran. Always a beauty. I love her so.